This is Alfa Romeo’s new plug-in hybrid small SUV. It’s only a concept car now, but expect to see something very similar emerge in production form soon. You can always rely on Alfa Romeo to do things in its own inimitable fashion, and the Stelvio is living proof of that. It may look like an SUV, but it’s far more of a focused driver’s car than a comfortable, family runabout. Alfa would love you to think of it as a cheaper alternative to the Porsche Macan. The Italian company’s first SUV will be in its showrooms from September, and it looks like good value next to its rivals from Audi and BMW. 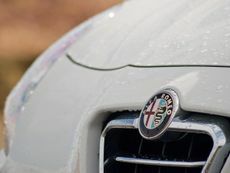 The Alfa Romeo Giulietta is a family hatchback that sits at the posher, more desirable end of the spectrum, and on that score, it competes with the likes of the all-conquering Volkswagen Golf. The Alfa Romeo Giulia is a stylish saloon that mixes dainty rear-drive handling and a fine ride with attractive design. Can it rival the BMW 3 Series and Audi A4? The Alfa Romeo Stelvio is the Italian carmaker’s first ever SUV. 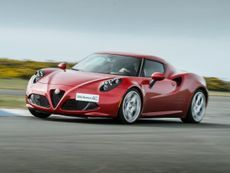 It’s been unveiled at the LA Auto Show in range-topping Quadrifoglio specification. The new Alfa Romeo Giulia is an all-new compact saloon designed to take on big-hitters from Audi and BMW, with a focus on styling and dynamic thrills. Can it live up to the hype? Read the Alfa Romeo 159 Sportwagon estate (2007 - 2011) car review by Auto Trader's motoring experts, covering price, specification, running costs, practicality, safety and how it drives. 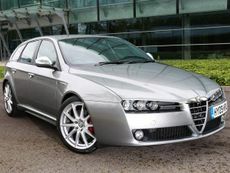 Read the Alfa Romeo Brera coupe (2005 - 2010) car review by Auto Trader's motoring experts, covering price, specification, running costs, practicality, safety and how it drives. 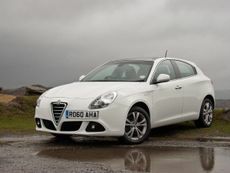 Read the Alfa Romeo Giulietta hatchback (2010 - ) car review by Auto Trader's motoring experts, covering price, specification, running costs, practicality, safety and how it drives.